Gift Certificates! 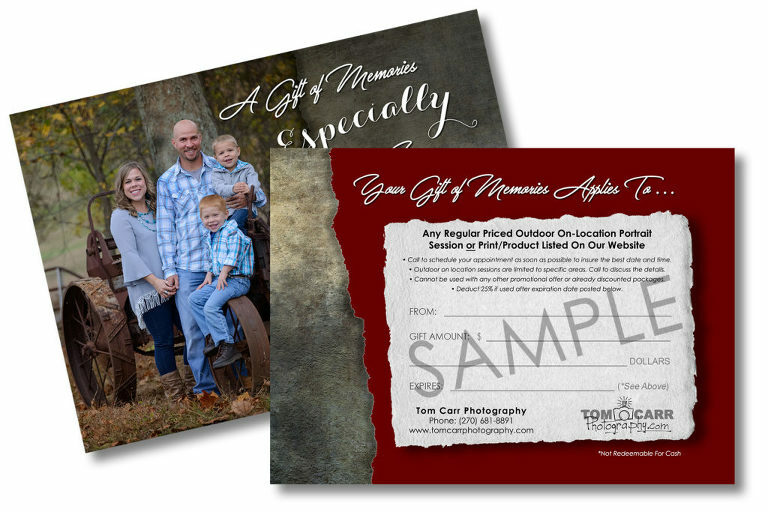 Good toward the purchase of any outdoor session, print or digital purchases. Sessions may require a minimum of $25 security deposit to schedule an appointment. You will be provided with a discount coupon in the amount of your deposit to use when ordering. May only use one certificate per person, per session. Certificates may not be used in conjunction with any other discount or promotional offer. Certificates are good for one year from the purchase date (unless specified otherwise through special offers).